Hit the slopes Jack in this seamless, sweat-wicking base layer designed in celebration of our 20th birthday. With a contrasting ribbed hem and neckline, plus statement design you'll be spicing up your life on the slopes and winter runs. To ensure our jacquard designs look perfect, the underside of the garment may contain a number of loose threads. Due to the delicate nature of this process, some threads may come out after washing. If you like your fabric super soft and warm, this seamless knit is the one for you. Even better, the added elastane ensures comfort and support. 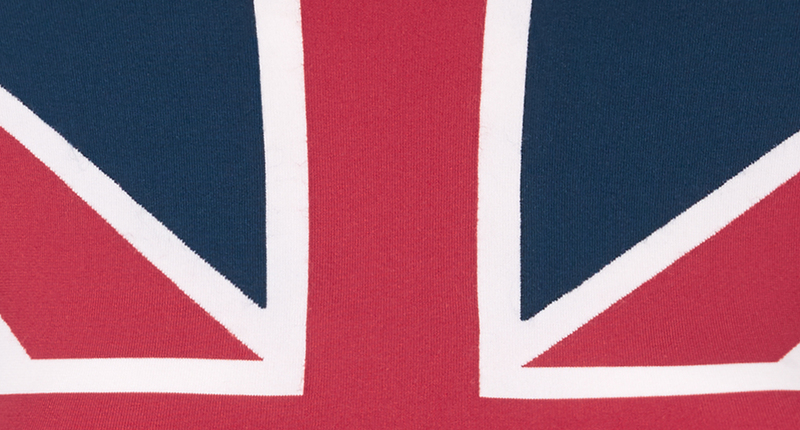 Union Jack Ski Seamless Long Sleeve Base Layer Top is rated 4.1 out of 5 by 18. Rated 5 out of 5 by Mama Minchey from Amazing products Super soft fabrics. Quick delivery. Super customer service. Overall amazing!!! If I had one negative to say, stitching was a bit loose on the armpit of the base layer top. Rated 2 out of 5 by Mountain girl from Horrible quality Such poor quality which is so unfortunate since the print is so cute! Not only were the pants loose but after one wear as an under layer for skiing they were completely destroyed. The sides were all frayed and piled and strings were hanging. Since they advertised them as ski base layer you would think they could withstand being worn under snow pants but they didn’t even last 1 wear and I haven’t even attempted to wash them yet! I complained to the company and sadly they are only willing to give me a 30% refund. NOT impressed since they were pricey. Rated 5 out of 5 by Johannavillanueva from Royal Rumble Kit! As a UK Expat in the US, how could resist the chance to fly the Union Jack flag?? I bought a small (I'm a US 4 5'6'') and it was perfect. I do hand wash this purely for the loose threads inside and to keep the colour beautifully vivid. Really warm on it own or as a reliably warm base layer. Rated 1 out of 5 by Lucythelowrider from Loved them, but... So cute and couldn’t wait to receive them. Wore them for approximately 5 hours and by the end of the day the entire outfit had begun to unravel where the colors change. No way to fix. Cost not equal to product quality. So bummed...loved them until they started to unravel. Rated 4 out of 5 by Shopforthegirls from Great print Fits great. The pattern is fun. The only reason I took away a star is that of all the knit inside. I have to be careful when taking it on and off not to snag a string. Rated 4 out of 5 by SkiRei from Best ski underwear I use a base layer under this, plus a neck warmer, then my parka and I'm good down to 15F for a day of skiing. The loopy underside locks in body heat without overheating. This should perform like my purchase from. 2 seasons ago. I wish it came in petite! The top is long for my 5'3" frame. Only other negative is; it starts to fray at my waistline where it comes in contact with other surfaces...Like SB recommends take jewelry off before putting on to prevent snagging on inside.